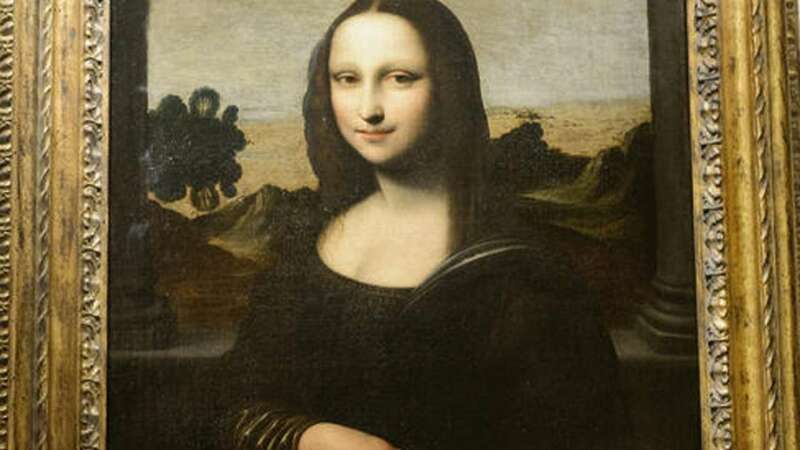 Scientists have created an accurate millimetric replica of Leonardo da Vinci's Mona Lisa, using approximately one million bacteria cells that were genetically engineered to respond to light. Controlling bacteria in this way means it could be possible to use them as microbricks for building the next generation of microscopic devices. For example, they could be made to surround a larger object such as a machine part or a drug carrier, and then used as living propellers to transport it where it is needed, researchers said. Escherichia coli (E coli) bacteria are known to be fantastic swimmers. They can move a distance of ten times their length in a second. They have propellers that are powered by a motor, and they usually recharge this motor by a process that needs oxygen. Recently, scientists found a protein (proteorhodopsin) in ocean-dwelling bacteria that allows them to power their propellers using light. By engineering other types of bacteria to have this protein, it is possible to place a 'solar panel' on every bacterial cell and control its swimming speed remotely with light. "Much like pedestrians who slow down their walking speed when they encounter a crowd, or cars that are stuck in traffic, swimming bacteria will spend more time in slower regions than in faster ones," said Giacomo Frangipane, Postdoctoral Scientist at Rome University in the Italy. "We wanted to exploit this phenomenon to see if we could shape the concentration of bacteria using light," Frangipane said. To do this, researchers sent light from a projector through a microscope lens, shaping the light with high resolution, and explored how E coli bacteria alter their speed while swimming through regions with varying degrees of illumination. They projected the light uniformly onto a layer of bacterial cells for five minutes, before exposing them to a more complex light pattern -- a negative image of the Mona Lisa. They found that bacteria started to concentrate in the dark regions of the image while moving out from the more illuminated areas. After four minutes, a recognisable bacterial replica of Leonardo da Vinci's painting could be seen, with brighter areas corresponding to regions of accumulated bacterial cells. "We have shown how the suspension of swimming bacteria could lead to a new class of light-controllable active materials whose density can be shaped accurately, reversibly and quickly using a low-power light projector," said Roberto Di Leonardo, an associate professor at Rome University. "With further engineering, the bacteria could be used to create solid biomechanical structures or novel microdevices for the transport of small biological cargoes inside miniaturised laboratories," said Di Leonardo.